Employers need workers who understand the importance of safe and respectful workplace cultures. 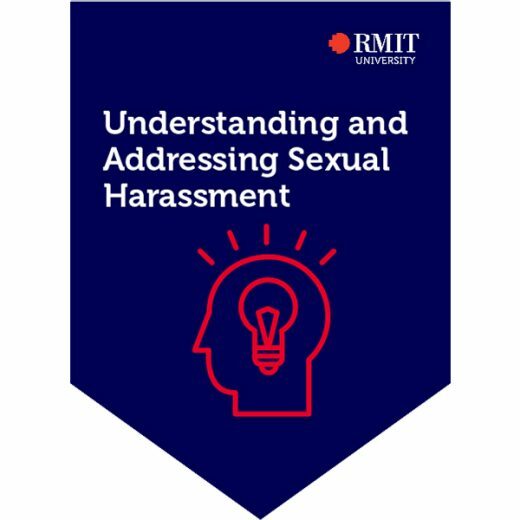 This credential will distinguish you as being able to understand what constitutes sexual harassment in the workplace, recognise the prevalence and gendered nature of sexual harassment, understand the underlying causes of sexual harassment, and build your capacity to put prevention strategies into practice in order to create a safe and respectful workplace culture. Module 1: What is sexual harassment? Participants in this micro-credential will be assessed through moderation of tasks and will be given a score of competent or not competent.